View from the lounge room upstairs at Hermit Park. 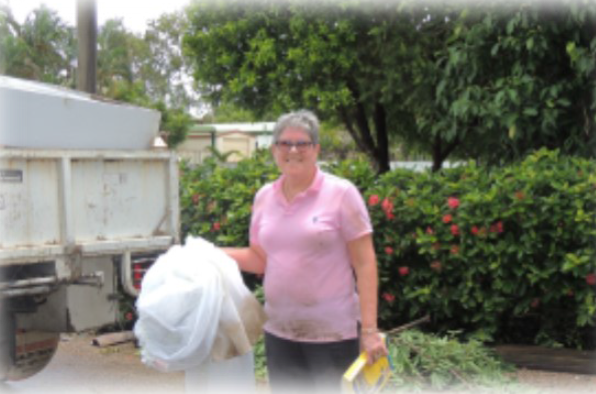 The devastating floods that swept through Townsville in February affected many in the local community, including our own sisters and staff. 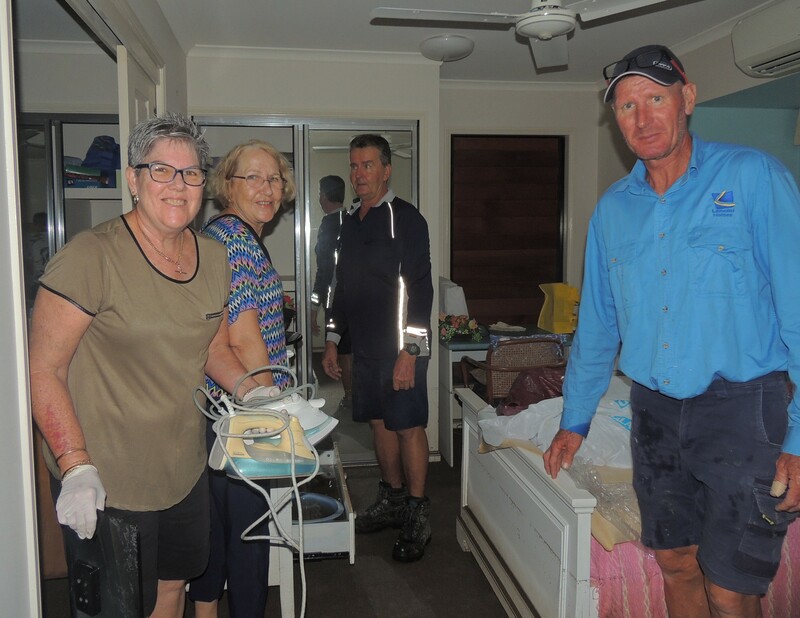 While our sisters living in the Townsville community were fortunate enough to make it through the floods with their health, some of their properties were inundated and required efforts from Institute staff and community members to assist them with relocation and clean up. 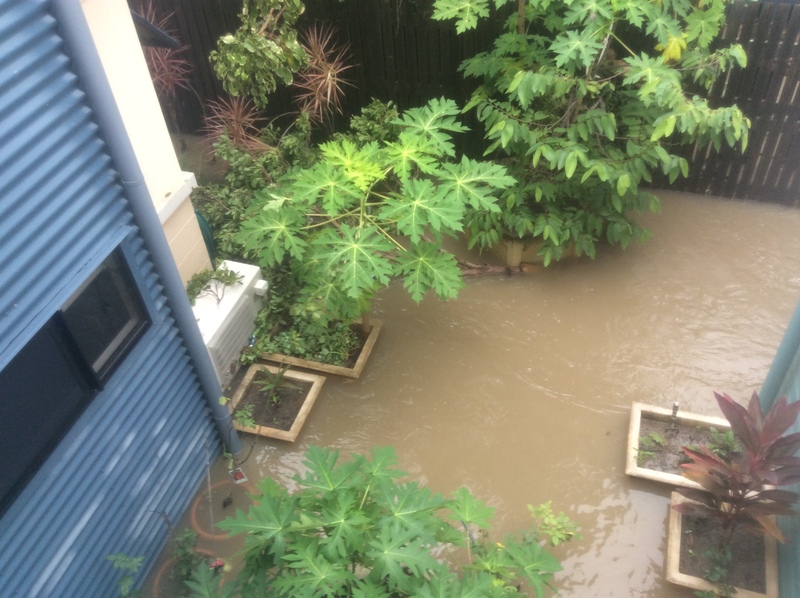 Sisters who live in the three units in Hermit Park watched in amazement how quickly Units 1 and 2 and the bottom three steps of unit 3 were inundated with water. The two sisters from the ground floor, luckily were able to move up to the unit on the first floor, as the flood waters meant that they were unable to leave the property. By Tuesday morning, after the water had subsided, the two sisters from Units 1 and 2 were able to relocate to McAuley House, Pimlico. 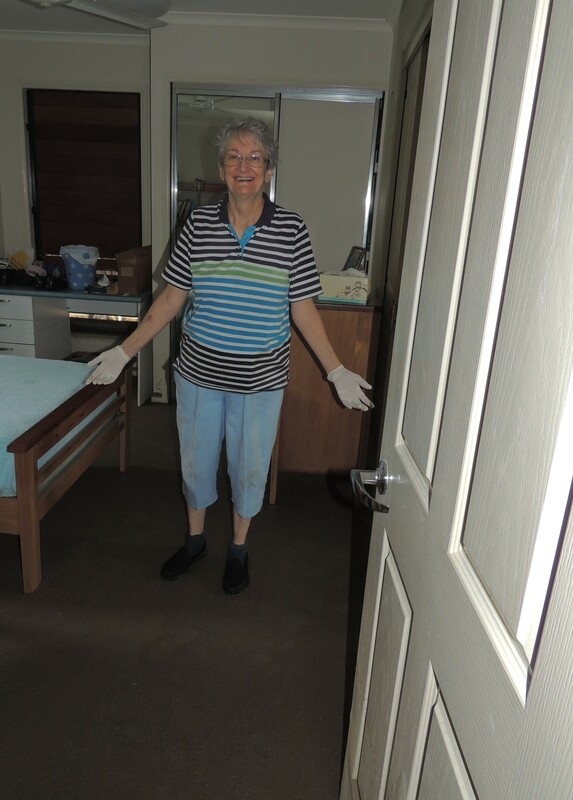 On Wednesday morning, it was all hands on deck with a group of local sisters and staff cleaning out the ground floor units. 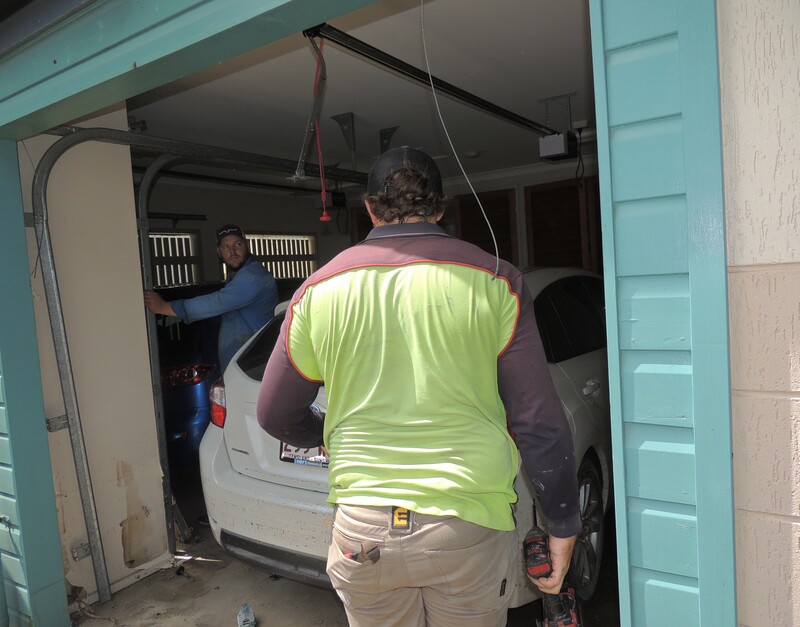 Lancini Homes (a builder in Townsville) kindly had four of their workers available to assist at any time to lend a hand. 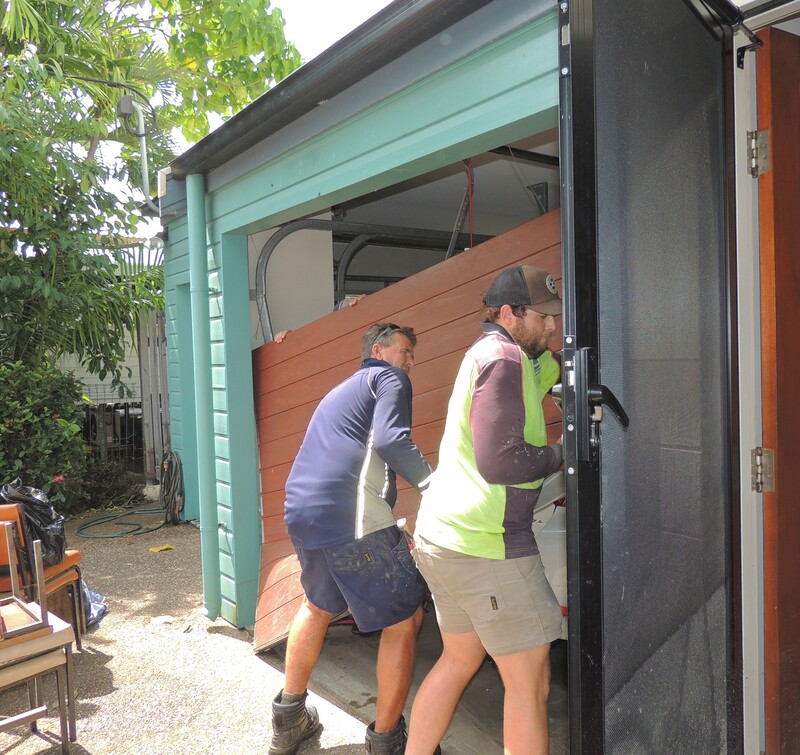 Jenny Gustavson, who works from the Townsville office stated that “everyone worked tirelessly over the two days of cleaning up to either pull up carpet, move furniture, pack boxes , remove roller doors and hose out all of the mud that was left”. “It was a traumatic time for all of the sisters involved and still is, as all of their possessions were gone. 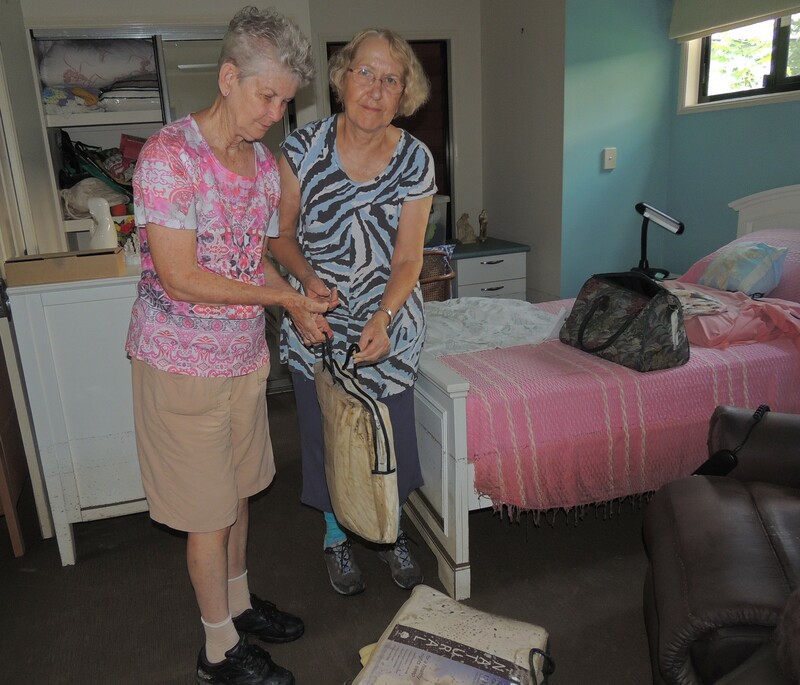 What could be salvaged went into the carport in Mundingburra until the sisters had time to go through it. “We all worked well together, with not a raised voice to be heard, a job needed to be done, so we all pitched in to get it done as quick as possible. 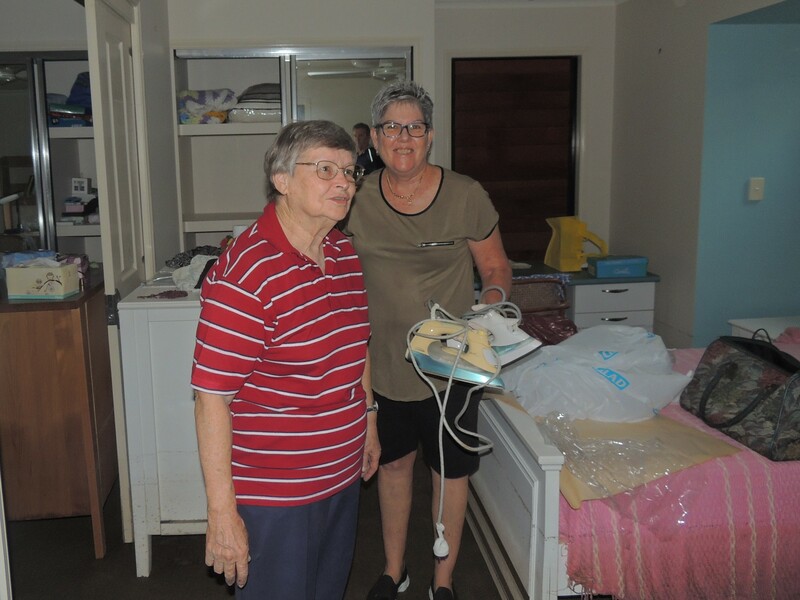 “The combined effort by sisters, staff and members of the Townsville community to assist is testament to the presence of mercy in action”, said Jenny. The St Vincent de Paul Society is still collecting money to assist with the recovery effort. 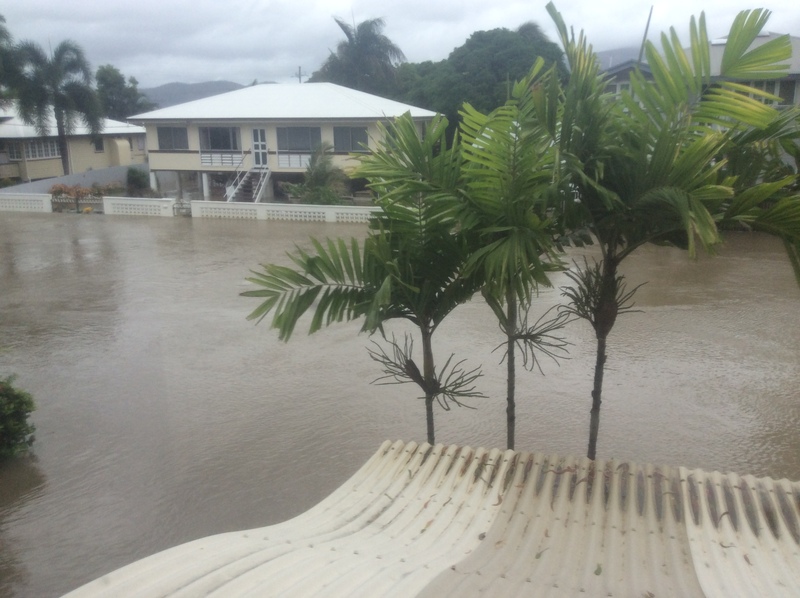 https://www.vinnies.org.au/donate?utm_campaign=2019_vinnies%20north%20qld%20flood%20appeal&utm_source=press&utm_medium=media&utm_term=qld&utm_content=qld%20donate#!state=qld&appeal=185 or call 13 18 12.